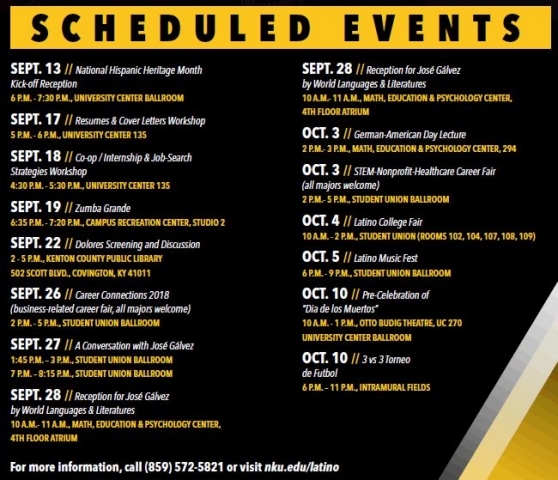 NKU Latino Programs and Services is organizing several events to celebrate Hispanic Heritage Month! Everybody is invited! 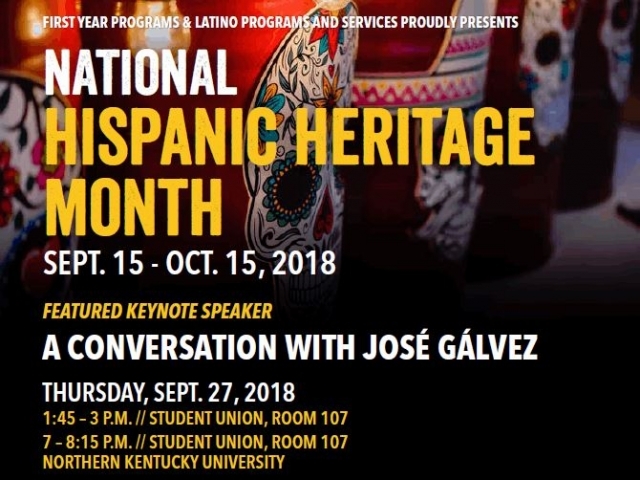 NKU Latino Programs & Services invite everybody to "A Conversation with José Gálvez"
he won a Pulitzer Prize in Community Service for a series on the Latino experience in Southern California. José always seeks “to honor the moment.” Doing photography exclusively over the past 40 years, he has created an historical record of the long view of what Latino life has been like across the United States over the decades. His photographs have been exhibited in countless museums and galleries in the U.S. and abroad, including the Smithsonian Institute. José and his family moved to North Carolina in 2004 where he began photographing Hispanic immigration in the South. 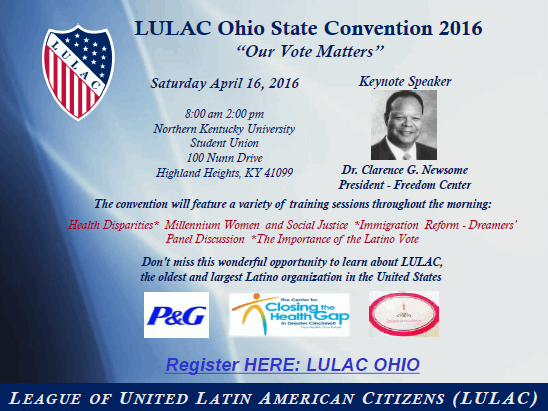 The Cincinnati Symphony Orchestra is thrilled to invite you to LATIN PASSION, as part of the Multicultural Awareness Council Open Doors Series, April 8-9, 2016 at Music Hall. Conductor Juanjo Mena returns by popular demand to conduct Falla´s La vida breve, featuring massive orchestral forces, flamenco dancing and a colorful score in what is sure to be one of the season´s can´t-miss highlights. Help the CSO Fight Hunger! The Friday, April 8 concert is part of Orchestras Feeding America, a national initiative to help fight hunger in the United States. One in six neighbors in our Tri-State area is at risk of hunger. In response to this need, the CSO is holding a food drive for Freestore Foodbank on April 8 in conjunction with the concert Latin Passion at Music Hall. Starting April 4, with a canned food donation, you can purchase a concert ticket to Latin Passion on April 8 for only $10. Already have a ticket for April 8th? Call the box office at 513.381.3300 to see how you can still participate. Orchestras Feeding America (OFA), has seen over 450 orchestras from across the country collect and donate nearly 475,000 pounds of food. The efforts of these orchestras have helped spread the word about how and why orchestras are so necessary to their communities, beyond providing amazing music. Experience the BEST NEW LATIN DJ in the Midwest! The best Salsa, Merengue, Bachata, Reggaeton, and Brazilian Samba! Invite your friends! Let's make it big!!! Every Wednesday Salsa Party is Back! So happy to let you know that by popular demand the MidwestLatino Salsa Wednesdays are BACK!!!! Inspired by the hit ABC-TV show Dancing with the Stars, Dancing for the Stars will feature eight Cincinnati celebrities paired with some of the area’s finest professional dancers in a competition program at which the audience will vote for their favorite celebrity dancer. "Art After Dark: Romance, Revival & Rumba"
Grab those dance shoes and join us for the Art Museum’s Final Friday Happy Hour featuring dancing, music and entertainment by midwestlatino as well as guided tours of our galleries. - Music from 6pm - 8:30pm by DJ AB. - Open dancing takes place from 6pm - 6:45pm, 7pm - 7:45pm, 8pm - 8:30pm. Tours of "The Etching Revival"
We reccommend that guests arrive early for the best parking options and/or consider taking Uber. Keep an eye on our website, Facebook and Twitter (@CincyArtMuseum, #artafterdarkcincy) for additional announcements regarding this event. 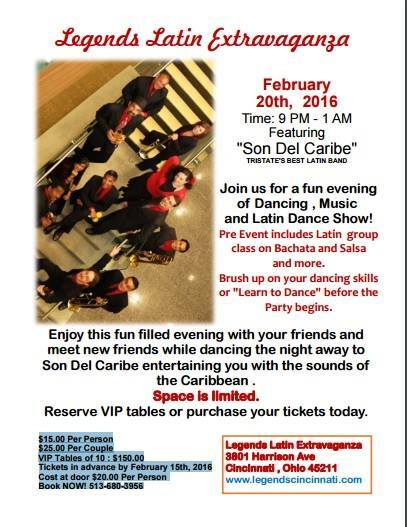 Join Son del Caribe for a fun Evening of Dancing, Music and Latin Dance Show! 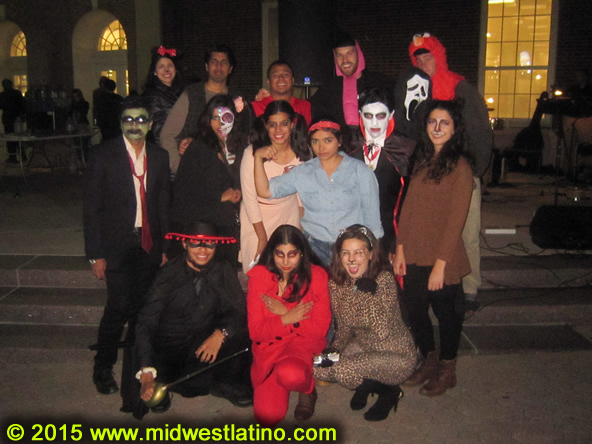 Latinos En Acción: University of Cincinnati and the UC International Business Club organized this awesome "Haunted Salsa" event at the University of Cincinnati, with the best Salsa band in Cincinnati, Son Del Caribe, and with Salsa lessons by MidwestLatino ! 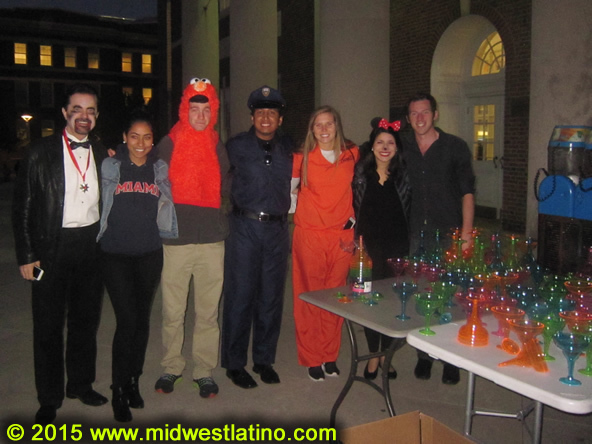 Stop by next Wednesday to Margaritaville for another Salsa Party! FREE Admission, FREE Salsa dance lesson at 9pm! 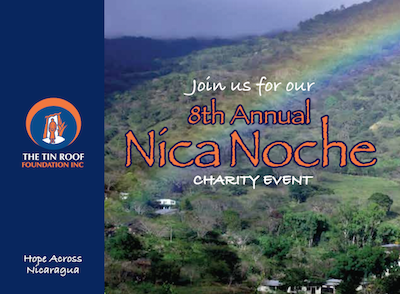 The Tin Roof Foundation is organizing a fundraiser "Nica Noche 2015"
The Office of Latino Programs and Services celebrates National Hispanic Heritage Month each fall with several activities on campus. Elaine Díaz Rodriguez is a Cuban blogger, journalist and former professor at the University of Havana where she taught courses focusing on digital journalism, communication, technology and society, and alternative journalism on the web from 2008 until 2015. Díaz was part of the Draper Hills Summer Fellows Class of 2014 and she was a fellow at the Nieman Foundation for Journalism at Harvard University from 2014 until 2015. As part of her fellowship, she launched an independent media outlet in Cuba called Periodismo de Barrio, where she is currently the editor in chief. And how can we better serve those displaced by war and famine? at Bellarmine Chapel on the campus of Xavier University. 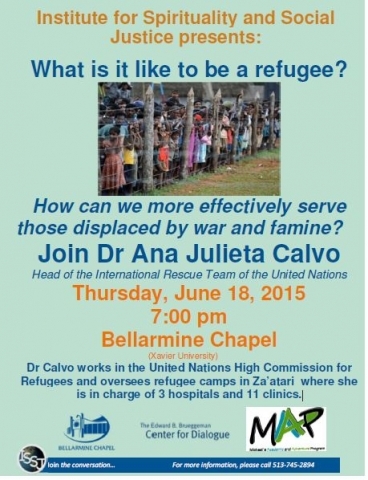 Dr. Calvo works in the United Nations High Commission for Refugees and is currently working in Za'atari, where she is in charge of 3 hospitals and 11 clinics. As a medical doctor, Calvo has spent time in many countries including Colombia, Mozambique, Kosovo, Uganda, and Jordan. Although most of her work has taken place in refugee camps, she has also worked with urban refugee settlements. "All of my activities, including shelter, protection, water-sanitation and health services, are vital to protecting and decreasing the suffering of refugees from war," she says. At Za'atari, Dr. Calvo and her team deliver approximately 70 babies a week, provide 60,000 health consultations every month, vaccinate thousands of children, run hygiene campaigns, and treat people with chronic illnesses. For more information go to http://www.xavier.edu/ISSJ" target="_blank">www.xavier.edu/ISSJ or contact (513) 745-2894. Procter & Gamble is bringing a new dance event to downtown Cincinnati! Presented by Gain Detergent, "FIESTA SALSERA" is a ten-week dance competition that will have the whole city moving and shaking. Two winning couples from each week move on to Finals on August 13! In the Final on August 13th, we'll give away $1,000!!!!! A Clean Fresh Start Donate your spare change & it will have double the impact! Help Fill the Gain bottles at your local YMCA of Greater Cincinnati and the change will be donated to the Y. If all the bottles are Filled, Gain will make a product donation to the Community Matters Washing Well. The Community Matters Washing Well, opening in fall of 2015, will create safe, affordable, and local laundry service for all residents of Lower Price Hill.